The same evening Worcester would be facing Newcastle. During the first weekend there would be other games held as well. For instance, the Wasps would be starting their campaign at home grounds against Sale Sharks. This team had been losing finalists in the last season of the Premiership league last year. Bath and Leicester would also be facing each other in the first weekend. For those who are interested to know how the fixtures have been formulated for the upcoming season, Saracens will try and claim their title that they won in the previous years. They had lost out to Exeter in the playoffs that had been held last season. The Saracens are now in a pre season training mode. However, certain key players from teams like Irish and British Lions are not with the team as they are currently touring New Zealand. Indeed, for most teams who are preparing for the upcoming fixtures, the preparation and training rounds seem to be the real matches as the coaches ensure that the sessions are grueling and challenging for the players. 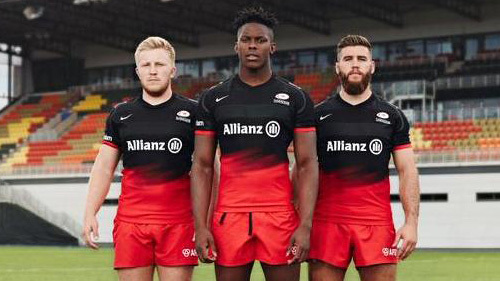 Many of the Saracens team players feel that the previous season has not ended yet; the training for the upcoming season is feeling so crazy. They are looking forward to the rest of the team members joining back so that they can have a pre season break before the team needs to get back to the grounds to play the tournament matches commencing from September.